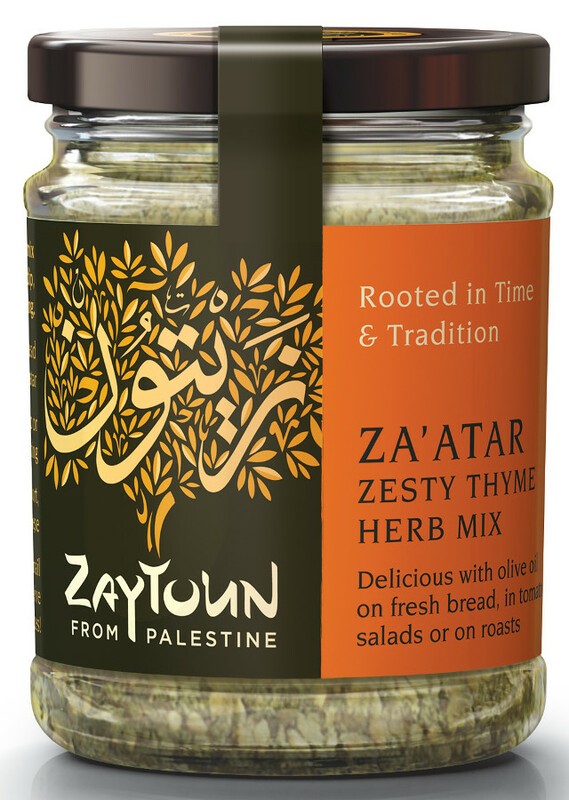 Produced in Palestine by a women’s, this Za’atar is a delicious and zesty seasoning perfect combined with olive oil on fresh bread, on tomato salads or rubbed into chicken or potatoes before roasting. This mix of wild thyme, toasted sesame and sumac is an everyday staple of the middle east and suitable for a vegan diet. The Zaytoun Za'atar Wild Grown Herb Mix product ethics are indicated below. To learn more about these product ethics and to see related products, follow the links below. Eat it on bread like Palestinians do. Tasty! Delicious! Tried it on scrambled eggs, tomoato soup and toast so far. Lovely packaging, and great aroma. 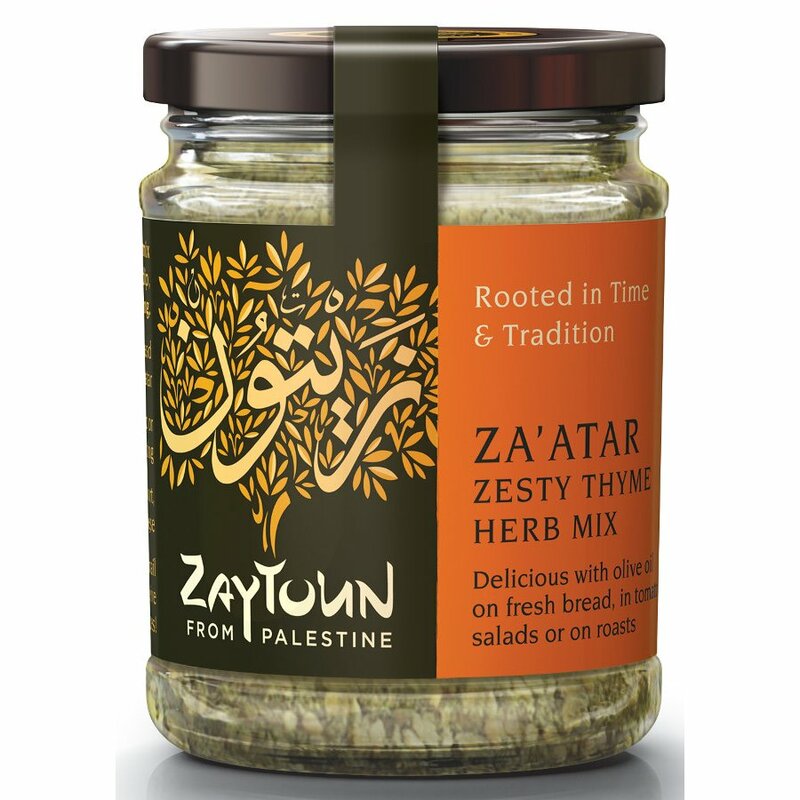 There are currently no questions to display about Zaytoun Za'atar Wild Grown Herb Mix. Zaytoun is a non-profit company established to support marginalised farming communities in Palestine through the production of olive oil and other olive products. The welfare of local farming communities and development of the agricultural infrastructure in Palestine is of the utmost importance to Zaytoun, and as such they operate as a fair trading company, and have recently achieved Fairtrade Certification for a selection of their range. Palestine is the home of the olive tree, with some of the oldest olive groves in the world, dating back as far back as 2000 years old. The country’s Mediterranean climate, rich fertile soil and Zaytoun’s use of organic traditional farming methods ensure that these olive products are always of outstanding quality.